(These statutes were adopted by the General Meeting of 23rd March 1992 and amended by the General Meeting of 15th March 1998 and 6th March 2000. They replace any previous ones). Art.1. 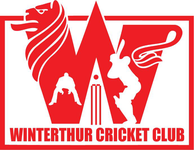 Under the name "The Winterthur Cricket Club", hereinafter referred to as "the Club", an association has been founded. It is governed by article 60 ff of the Swiss Civil Code and the present statutes. Art.2. The purpose of the Club is to further the interests of cricket by regularly held matches and meetings as well as social activities. Art.3. The Club year and therefore also the financial year runs from 1st January to 31st December. Art.4. The official language of the Club is English. Art.5. The Club is completely neutral on the subjects of race, religion and politics. Art.6. The membership of the Club shall consist of Active Members, Passive Members and Honorary Members. Art.7. All persons may apply and be accepted for Membership of the Club. Art.8. Acceptance and continuation of membership is subject to approval by a 2/3 majority of the full Executive Committee. Art.9. Any Active or Passive Member whose membership fees have not been paid within 60 days of falling due automatically ceases to be a member unless payment is provisionally waived by a majority of the Executive Committee. Fees fall due on 1st April or at the latest within 30 days of the Annual General Meeting. Art.10. Honorary Membership can be bestowed by a 2/3 majority of members present at a General Meeting. Art.11. Annual membership fees, valid up to the following Annual General Meeting, will be charged subject to a decision at the Annual General Meeting and are not permitted to exceed CHF 200.- . Art.12. Personal insurance is the member's own responsibility. Art.13. The administrative bodies of the Club are: The General Meeting; The Executive Committee; The Auditors. Art.14. The General Meeting is the supreme authority of the Club. Art.16. The General Meeting must be called annually by the Executive Committee before the end of February. Art.17. An extraordinary General Meeting may be summoned at any time subject to a 2/3 majority decision of the Executive Committee. Art.18. The Executive Committee must summon an extraordinary General Meeting within 6 weeks of receipt of a written request to do so, signed by at least 1/5 of all members. Art.19. Notice of a General Meeting with, items on the agenda, the time and place, must be given to all members at least 2 weeks in advance. Art.20. Decisions can only be taken on items on the agenda, excluding Any Other Business. Members wishing to include specific items for the agenda must do so in writing to the Executive Committee by 31st December. Art.21. The General Meeting shall be chaired for its duration by a member appointed by the Executive Committee. The chairman is entitled to vote only in the event of a tied vote. 15. Closure or adjournment of the meeting. Art.23. At the General Meeting only members present have the right to vote. Art.24. If within 30 minutes of the scheduled starting time fewer than ten Club members are present, the meeting shall be declared void. Art.25. All decisions shall be made by a simple majority unless otherwise stated by the present Club statutes. Art.26. The Executive Committee shall consist of not fewer than six and not more than eight members. Art.27. The Executive Committee governs and represents the Club and is empowered to fulfil the purpose of the Club as defined in Art.3., according to the present statutes and is obliged to carry out decisions of the General Meeting. Art.28. The Club is legally bound by the signature of its President, or exceptionally by its Vice-President together with that of any other member of the Executive Committee. Art.29. Quorum for decisions of the Executive Committee is three. In the absence of the President and Vice-President the decisions must be unanimous. All financial decisions are subject to the availability of a statement of current club assets supplied by the Treasurer. Art.30. During committee meetings, each committee member has one vote. In the case of a tie, the President has an extra casting vote. Art.31. The Executive Committee must keep a written record of the decisions taken. Art.32. If the President ceases to perform his functions the Vice-President is empowered to assume this responsibility ad interim. Any other positions which fall vacant may be filled ad interim by another committee member. All such changes must be communicated to the members of the Club within three months. Art.33. If the Executive Committee cannot fulfil its duties in accordance with these statutes, an extraordinary General Meeting must be called within one month. Art.34. The treasurer is empowered to withdraw or transfer money from the club's funds for club activities. The social secretary is empowered to set up a social committee or event committees as the need arises. These committees are then entitled to organise and run social events on behalf of the Club provided the event or events have been sanctioned in advance either at a General Meeting or by the Executive Committee. Art.35. The Executive Committee may not spend more than 50% of the Club's total current assets within any calendar month. The Executive Committee must ensure that the Club's activities and programme remain financially secure. Art.36. Committee meetings must be formally called. The Executive Committee must meet at least once every three months. Art.37. The elected auditors, who need not be members of the Club, must check the Club accounts and present their findings, duly signed, at the next General Meeting. c) Any other resources derived by its own activities. Art.39. Liability of the Club is limited to its resources. 6. Amendments to the Statutes and Dissolution of the Club. Art.40. Any amendments to the present statutes requires a simple majority of the members present at a General Meeting. Art.41. The decision to dissolve the Club can only be taken at a General Meeting and must be approved by at least 1/2 of all Active Members of the Club. Art.42. In the case of dissolution, any surplus funds or property of the Club shall be assigned to a purpose to be determined by a simple majority at the General Meeting.